Ever want an amazing outfit – but it was just way out of budget? That’s where I come in! 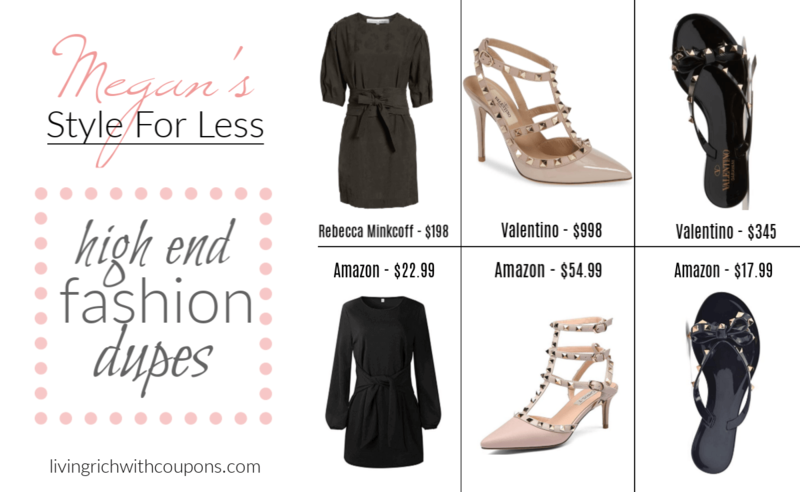 I loved finding some of these amazing dupes for some popular styles and trends this week! Watch Megan try on the Dupes in their Facebook Live Video! This week I found this amazing Dress by Rebecca Minkoff for $198. It’s super trendy right now but there is no way we’d pay $198! 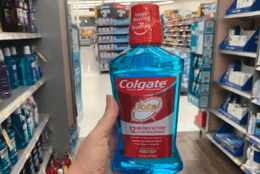 I found a complete dupe on Amazon for just $22.99! Now we absolutely have to have some shoes to go with this dress! Luckily this dress goes with any style! I found you 3 different shoe options for all different styles! First up are the Valentino Rockstud T-Strap Pump Dupe if you want to fancy up the dress! 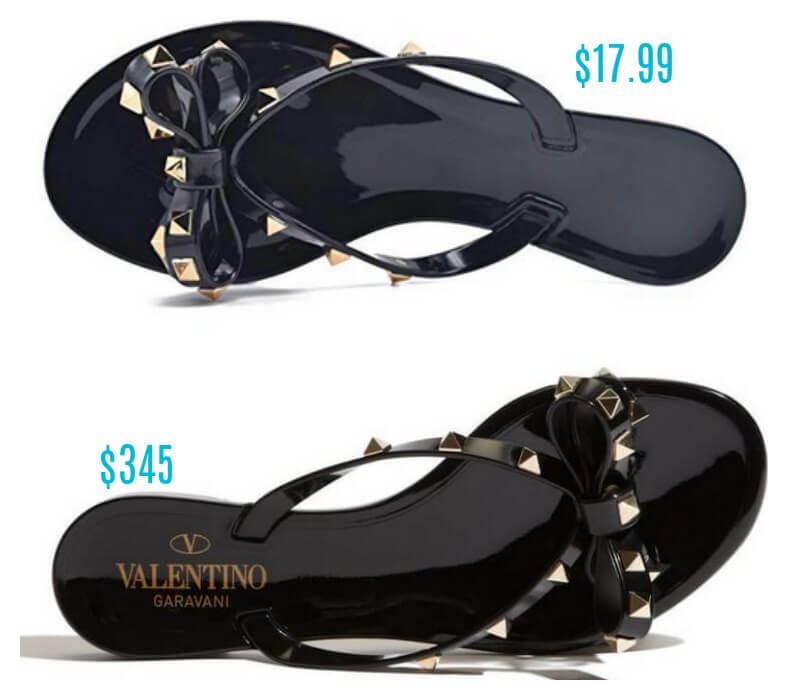 Get the look alike for $54.99 when the original Valentino is $995. Next Shoe is the craziest dupe of them all! This popular Valentino Sandal will make this outfit not so fancy – but absolutely adorable! 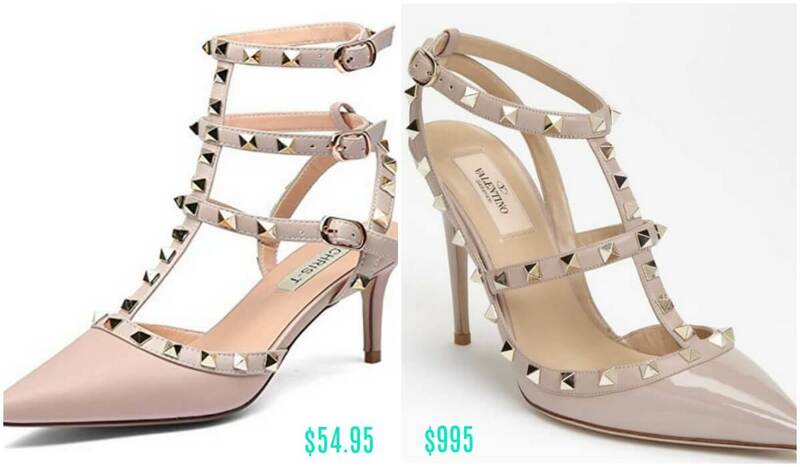 The Valentino sandal is $355 and the Amazon sandal is $17.99! This dress literally goes with everything – including sneakers! 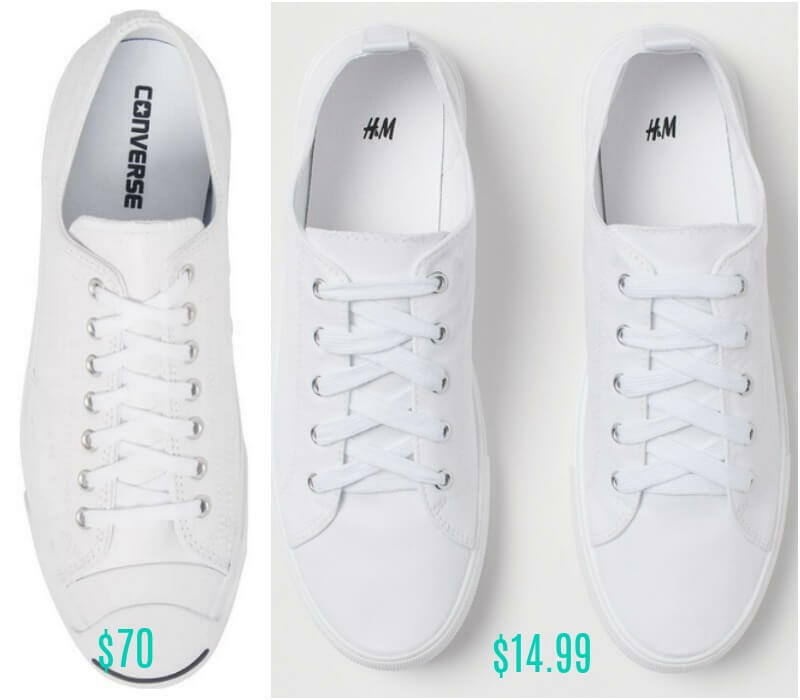 Who needs to pay $70 for white converse when you can get amazing white sneakers for $14.99 from H&M that look exactly the same! Next up we need some accessories to wear with this dress! This bag I found I love and can be worn with any of these shoes! 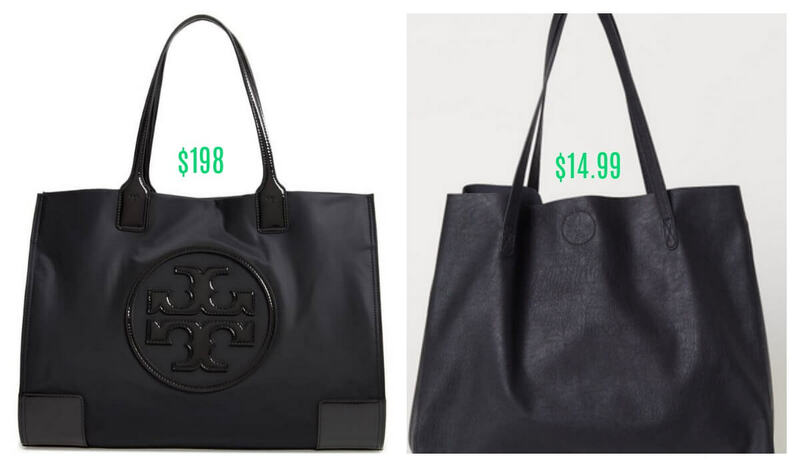 I found a Tory Burch Tote that I LOVE for $198- not going to happen! I did find an awesome dupe for just $17.99 at H&M! Adding a scarf always makes the outfit that much fancier. 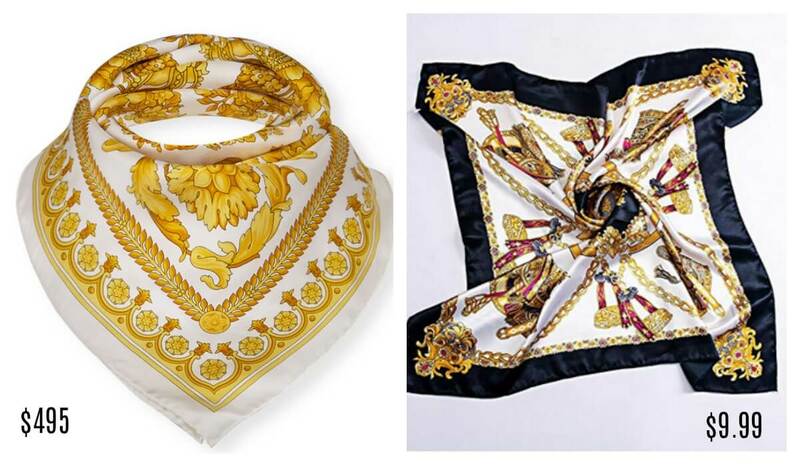 This Versace scarf is a standard Versace print and is $495 – I found one that is similar for $9.99 on Amazon!